According to a study published on 9 September 2008 vitamin B12, found in meat, milk, fish can stop brain degeneration in the elderly. 107 people between 61 and 87 took part in the study the year of life who have been subjected to a brain scan, their memory and physical capacity were examined. Researchers also collected blood samples to check vitamin B12 concentration. Scanning the brain and memory testing was also done five years later. Researchers found that people who had a higher level B12 vitamins were six times less likely to be lost brain mass compared to the group that was characterized by low levels of vitamin B12. None of the subjects had a deficiency of vitamin B12. “Many factors affecting brain health are beyond our control, however, this study suggests that focus our attention to eating more B12 in products such as meat, fish, unprocessed cereals (oatmeal) or milk can help our activities in reducing the loss of brain tissue and probably improve our state of mind – says, MSc, from the University of Oxford in the UK. Without clinical tests, it is impossible to say whether a solution the problem with loss of brain mass can be supplemented by supplementation vitamin B12. “Previous studies have mixed results and a small part the subjects (the older population) underwent brain scanning. We measured the concentration of vitamin B12 in a unique, more accurate way to pay attention to two specific markers found in the blood, says Vogiatzoglou. 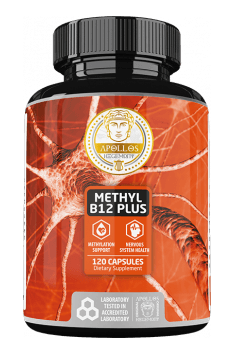 B12 would have the same effect on brain mass. You can read also: Vitamin B12 – do you really supplement it in the right way?